Exclusive Advanced Booking Offer - Book at least 30 days in advance, quoting Hotel Guru, and save an extra 10%! Offer subject to availability and not valid for peak periods including Easter, the “Pitti Uomo” Fashion fair or New Years Eve. Alternatively book 7 days and only pay for 6. Quote Hotel Guru. Wonderfully affordable elegantly decorated rooms feature parquet floors, rich tapestries, and antique furniture. 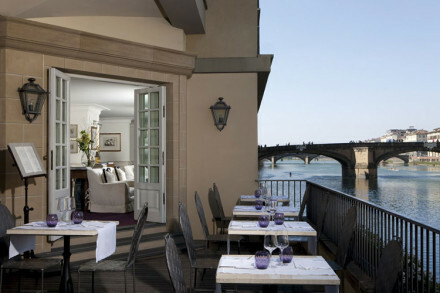 Surrounded by charming countryside and just 15 minutes from Florence- there are exploring opportunitites for all sorts. Outdoor pool in summer months. A light Tuscan evening meal can be arranged. Children of all ages welcomed, babysitting services available. When you tire of sight seeing and walking unwind by the pool with a good book and a stiff drink. Paola runs fantastic Tuscan cooking lessons with daughter Silvia, learn to whip up your favourite dishes. Manager and sommelier, Lorenzo, organises and guides wonderful vineyard tours in the local area. Take a post breakfast stroll around the fragrant gardens, or head out to explore the olive groves and rolling Tuscan hills. 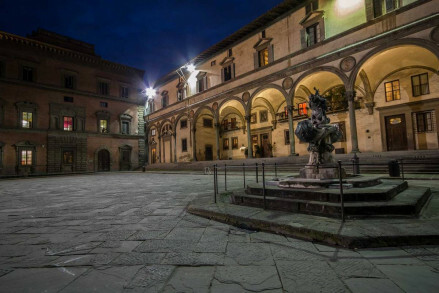 Check out the nearby medieval cities of Siena, Volterra and San Gimignano. 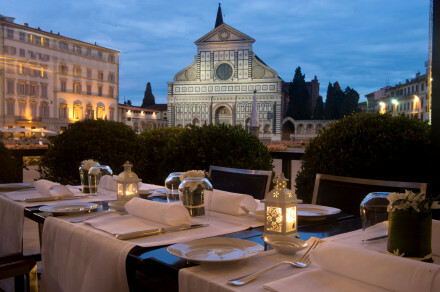 Because it is a nice and quiet retreat after a whole day spent in the Florence city centre and its chaos: in our Relais, it’s possible to enjoy hours of peace whilst being just 10 minutes away from the Florentine beauties. The centre of Florence is just 3 km so the most important attractions, such as museums, galleries, and historical buildings are easily reachable. In 20 minutes by car it is possible to reach the Chianti Classico wine area full of wineries where you can enjoy wonderful wine tastings! At the hotel we have a beautiful swimming pool with solarium, a private spot where our guests find a fresh relief from the hot Florentine Summer. Within walking distance there is a Tennis Club, and 5 minutes from our hotel there is the beautiful Klab wellness centre. For golfers, the historical Ugolino golf club is only 20 minutes away. Breakfast is served in a large gazebo whose large windows are opened during the spring and summer, letting the perfumes and colours of the garden enter, giving you a pleasant sensation as you start your day. During the winter, the heated gazebo becomes a comfortable "winter garden," letting you enjoy direct contact with nature even at this time of the year. From the buffet, you can taste the continental breakfast, exquisite local marmalades, whole grain breads, fresh rolls, hot croissants and delicious homemade cakes or, upon request, scrambled eggs, bacon, and cheeses, served with courtesy and professionalism with elegant porcelain and silverware in perfect Florentine tradition. If our guests wish to relax staying in hotel, we are glad to offer a light lunch or full dinner, a selection of simple and genuine Italian dishes. Nothing fancy, but tasty and served in our panoramic gazebo with the usual kindness and skill by our staff. For those interested in a typical Tuscan dinner there is a very good "trattoria" close to the hotel which provides free transfer for our guests. All our rooms are beautiful and comfortable because they have the same amenities and decorations. The Double De-Luxe with private patio/garden is very popular, because it’s very nice for our clients to have a private space right outside their rooms where they can spend some relaxing time, as read a book or drink a glass of wine..